Now in his mid-seventies, Russell Banks has indulged his wanderlust for more than half a century. This longing for escape has taken him from the "bright green islands and turquoise seas" of the Caribbean islands to peaks in the Himalayas, the Andes, and beyond. In each of these remarkable essays, Banks considers his life and the world. In Everglades National Park this "perfect place to time-travel," he traces his own timeline. 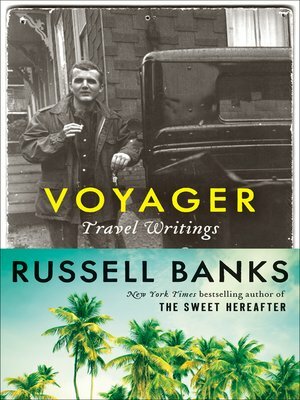 Recalling his trips to the Caribbean in the title essay, "Voyager," Banks dissects his relationships with the four women who would become his wives. In the Himalayas, he embarks on a different quest of self-discovery. "One climbs a mountain not to conquer it, but to be lifted like this away from the earth up into the sky," he explains.